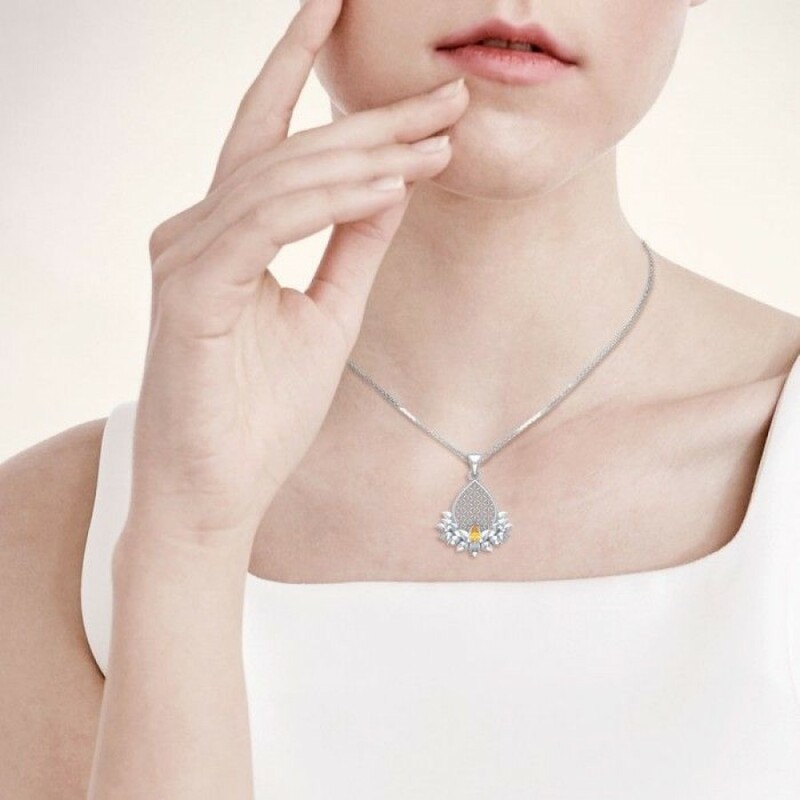 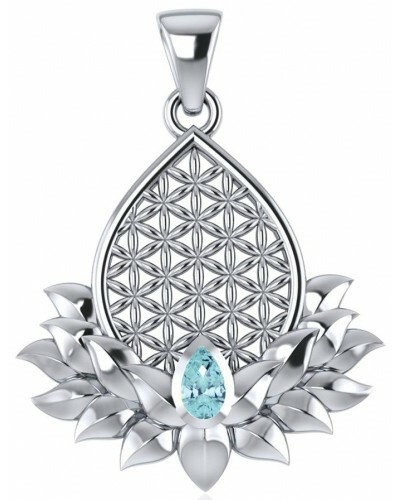 Elegant and full of spiritual meaning, this Flower of Life Lotus pendant is set with a sparkling faceted blue topaz gemstone. 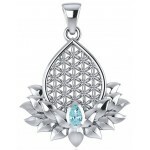 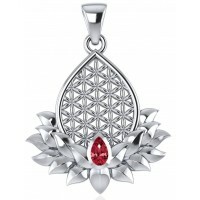 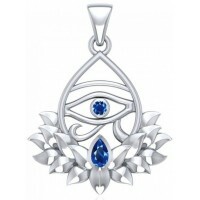 Beautifully detailed, this Lotus blossom with Flower of Life is accented with a sparkling sea blue gemstone. 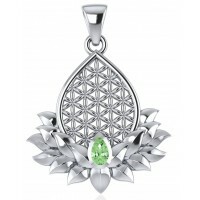 The lotus is an ancient symbol of spiritual awakening and enlightenment. 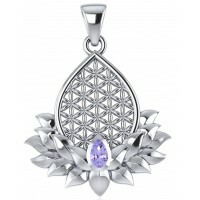 The Flower of Life, sacred geometry representing the creation of life, rises from it enhancing enlightenment. 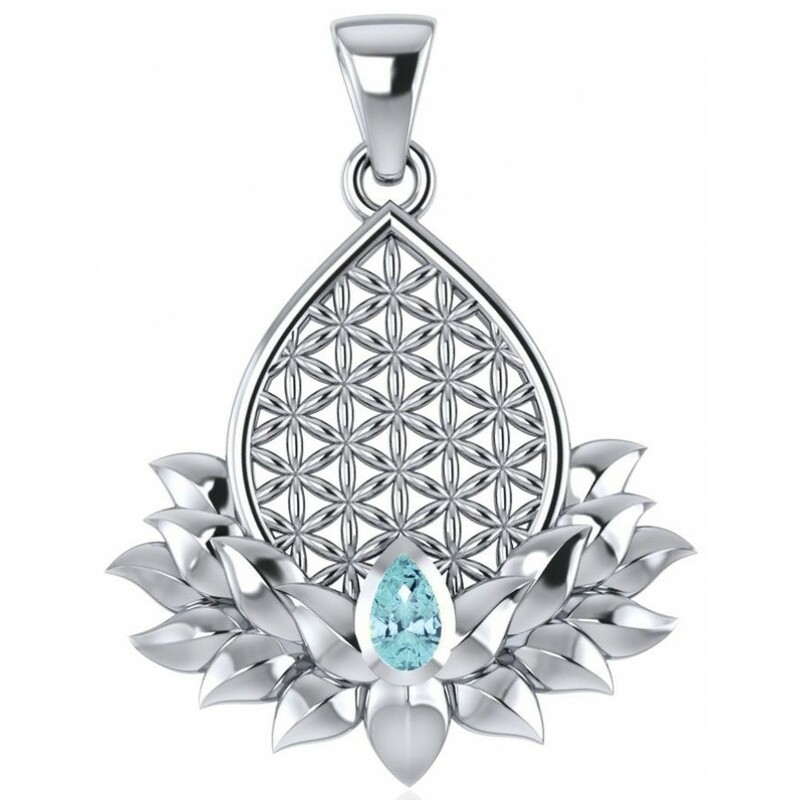 Blue Topaz reflects the energy of the mind and knowledge, stimulating self-confidence and the ability to resolve complex problems, metaphysical properties enhanced by the Flower of Life. 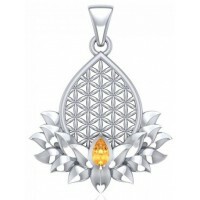 Item Number: PS-TPD4958-BT | Approximate Size (Inches): 0.94 wide x 0.05 deep x 0.98 high | Approximate Shipping Weight: 0.25 lbs.